by the Art Loss Register. 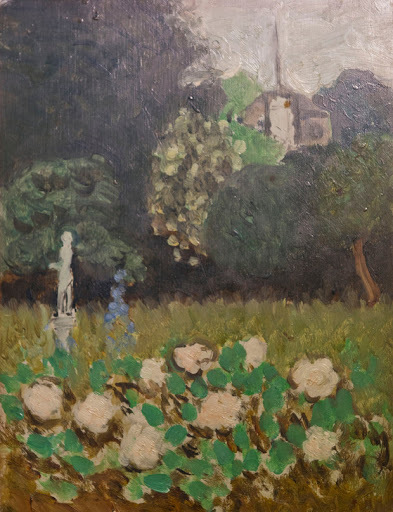 When Henri Matisse’s Le Jardin was stolen from the Museum of Modern Art (Moderna Musset) in Stockholm on May 11, 1987 it was believed to be a total loss. The painting is now on its way home to Sweden after 25 years thanks to the Art Loss Register (ALR). Charles Roberts, owner of Charles Fine Art, is also being lauded for his due diligence. When a Polish collector approached Roberts to inquire about selling Le Jardin, he searched the ALR database and identified the painting. The recovery is a significant victory for the ALR, the largest international private database of stolen, missing, and looted artwork. At an International Foundation for Art Research (IFAR) lecture in December, Marinello strongly reiterated that art thefts are on the rise and that diligence is increasingly important. Following drug trafficking, money laundering and arms trading, art theft is the most lucrative blackmarket activity internationally. Current predictions are that the sale of stolen art now totals over $7 billion every year. Unfortunately, only five to ten percent of stolen artwork is recovered. Robert Wittman, former Senior Investigator and Founder of the FBI National Art Crime Team (ACT) and author of Priceless: How I Went Undercover to Rescue the World’s Stolen Treasures, stressed at IFAR’s December lecture that art thieves are not Pierce Brosnan from the “Thomas Crown Affair” or Cary Grant from “To Catch a Thief.” Most thieves know nothing about art. Our recent coverage on the recovery of two Henry Moore sculptures illustrates just this. Liam Hughes and Jason Parker both pleaded guilty of stealing two Henry Moore bronzes worth $930,000 from the grounds of the Henry Moore Foundation. At their sentencing in December, Carlo Coccarro, the lawyer representing Parker and Hughes, argued that the sculptures were stolen because of their easy access. In reference to Moore’s Working Model for a Sundial, he stated: “It was never the intention to take it for artistic value.” The Daily Mail reported that Parker and Hughes were not aware that the two pieces had any market value and sold them as scrap metal. Public awareness of art theft only becomes a news story after a major incident. On March 18, 1990, the theft at the Isabella Stewart Gardner Museum captivated international audiences. 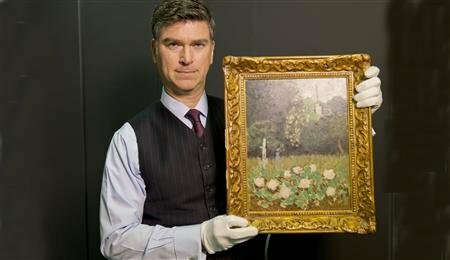 Paintings by Vermeer, Rembrant, Degas and Manet worth over $500 million disappeared overnight. 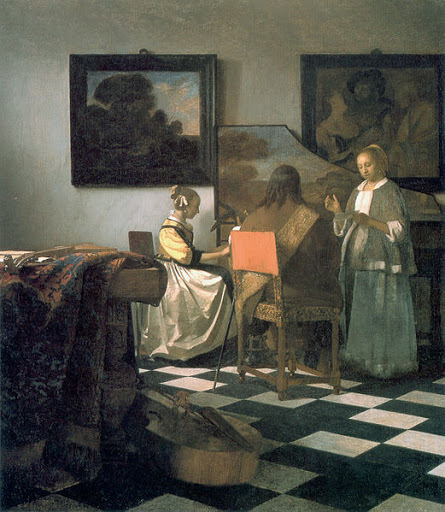 The heaviest loss was arguably The Concert, one of only 36 known Vermeer paintings. The theft continues to fascinate the public 23 years later. the Gardner Museum in 1990. Art thefts have grown with the economic downturn in 2007. The Wall Street Journal reported that between 2007 and 2008 thefts increased from 14,981 to 16,117. The numbers for 2012 are, as yet, unavailable, but the continuing budget cuts at museums and the increasing sophistication of thieves only compound the trend. Many museums can no longer afford to maintain security systems, let alone update them. In addition, the method of art theft has changed. Although there are exceptions, modern thieves now rob museums by force using weapons, rather than the old school manner of sneaking into museums by the cover of darkness. According to the International Council of Museums (ICOM), thieves are now raising the stakes. The Museum of Modern Art in Stockholm is still missing three Picasso paintings and one Braque stolen in 1993. If you have any information contact the ALR, the FBI Art Crime Team or Interpol. Sources: The Wall Street Journal, The Isabella Stewart Gardner Museum: Theft Overview, The Daily Mail, BBC, The Art Loss Register, International Foundation for Art Research “Anatomy of an Art Sting” Lecture, Center for Art Law. Images from BBC, The Art Loss Register and the Isabella Stewart Gardner Museum.